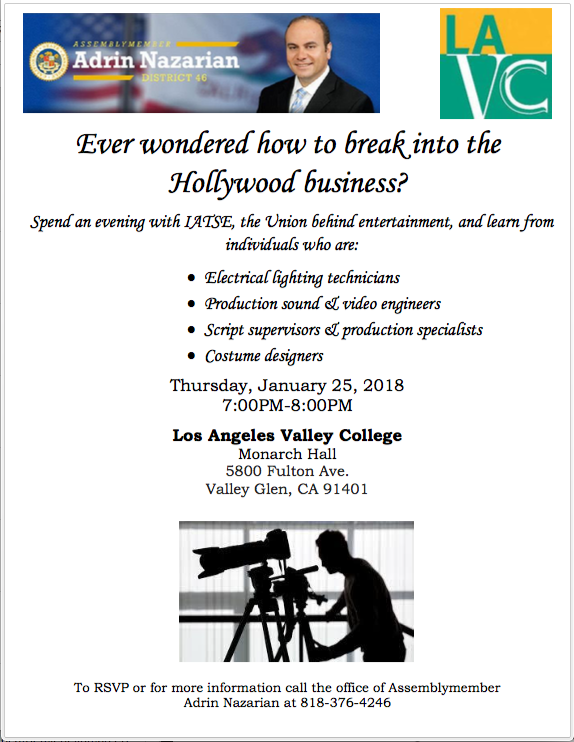 Learn how to break into the Hollywood Industry. We would appreciate it if you would share this email with your contacts. Everyone is welcome to attend and it would be a great opportunity for students interested in the arts to talk to experienced individuals in the field.